Global private equity investment firm H.I.G. 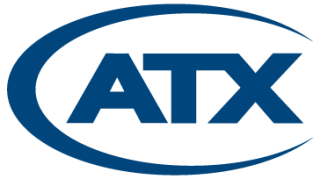 Capital has announced that its portfolio company, ATX Networks Corporation has acquired InnoTrans Communications. InnoTrans’ advanced fiber optic solutions broaden ATX’s portfolio. Headquartered in San Jose, CA, InnoTrans develops and manufactures innovative optical transport solutions for cable operators. InnoTrans’ products transmit optical signals over longer distances, conserve more fiber, and utilize power and space more efficiently than peers, ultimately decreasing capital and operating expenses for cable operators. The merger of InnoTrans with ATX will establish a diversified, hybrid fiber-coaxial (HFC) access market leader poised to serve operators as they continue upgrading network capacity. Moreover, the scale, resources, and infrastructure of ATX will speed new product development and allow InnoTrans to transform into a global player in the HFC access market. “InnoTrans represents a highly strategic and complementary investment. We have known the InnoTrans management team for years and their technological expertise and ability to innovate is second to none across the HFC access market. Together, we plan to continue delivering outstanding network solutions and innovative new products in collaboration with our valued customers,” said Ken Wildgoose, ATX’s president and CEO. Ramachandran will serve as president of a newly created Optical Network Solutions Division within ATX, which will base its foundation for expansion using the current InnoTrans team in its entirety.